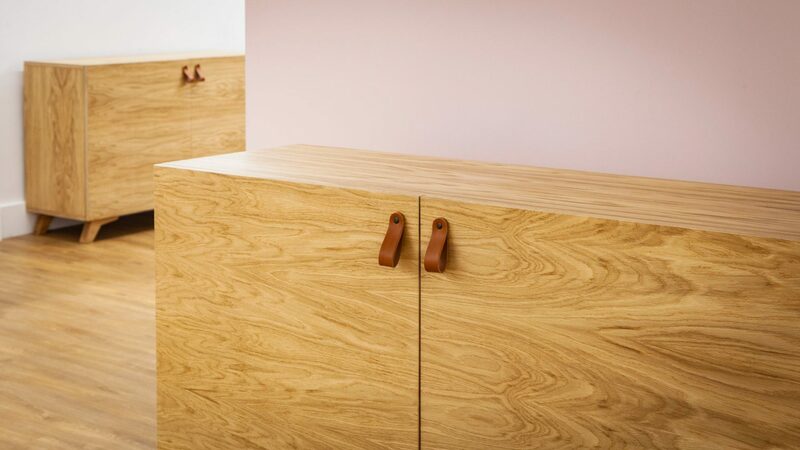 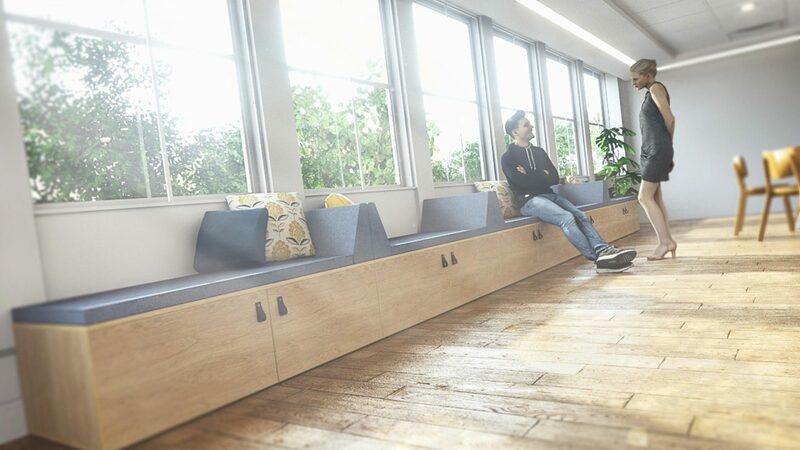 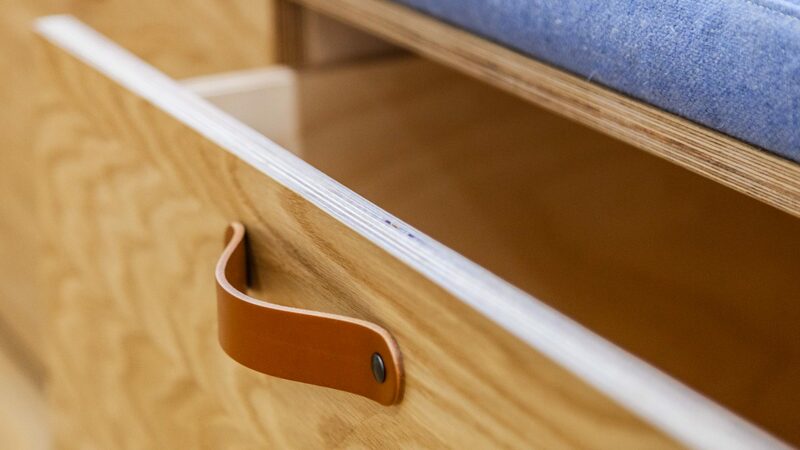 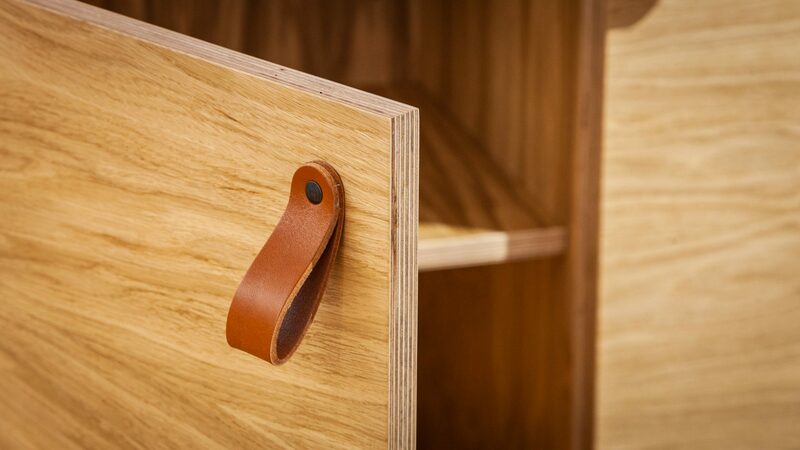 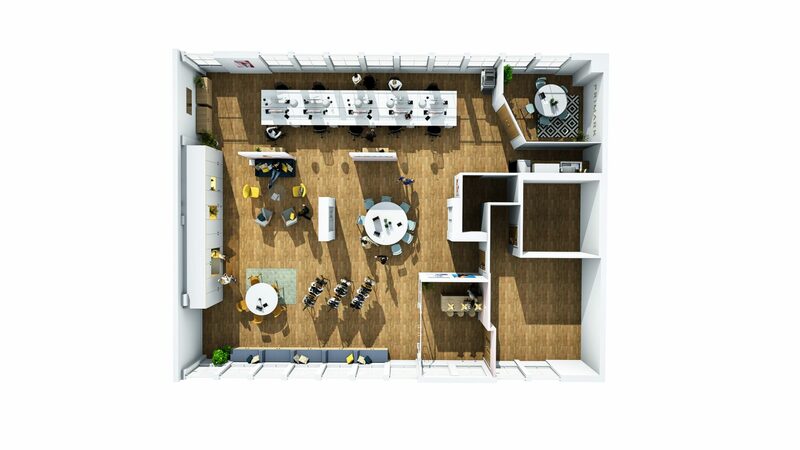 Storage is at the heart of the workspace design. 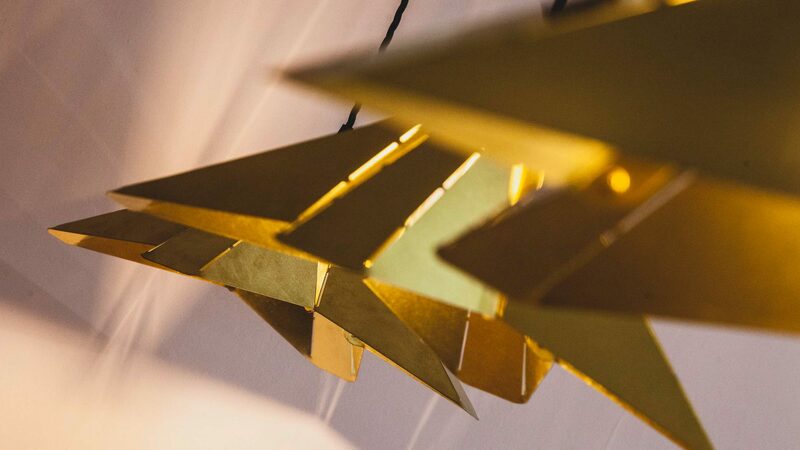 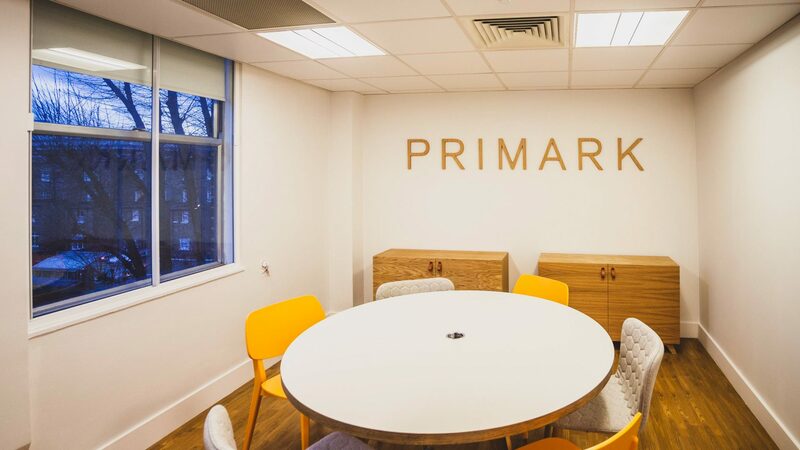 It needed to be a tidy, well thought out branded environment for promotional events as well as functioning as a busy office on a day-to-day basis. 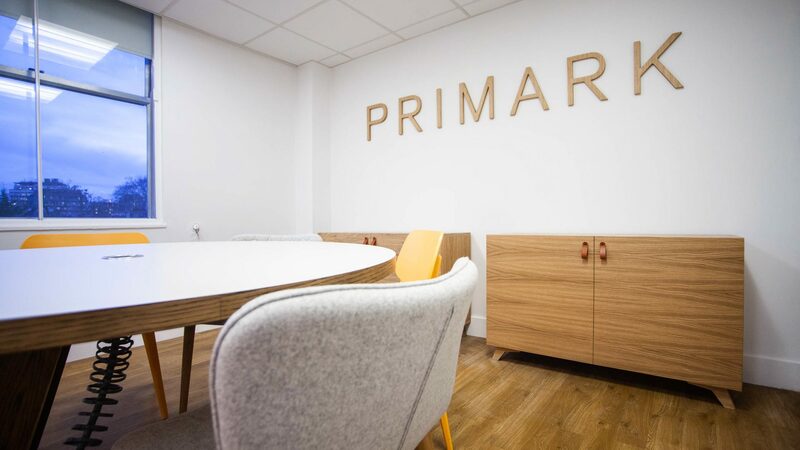 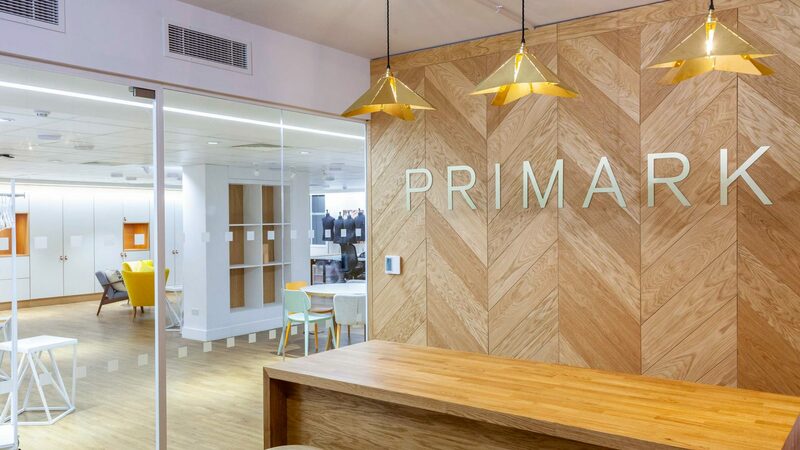 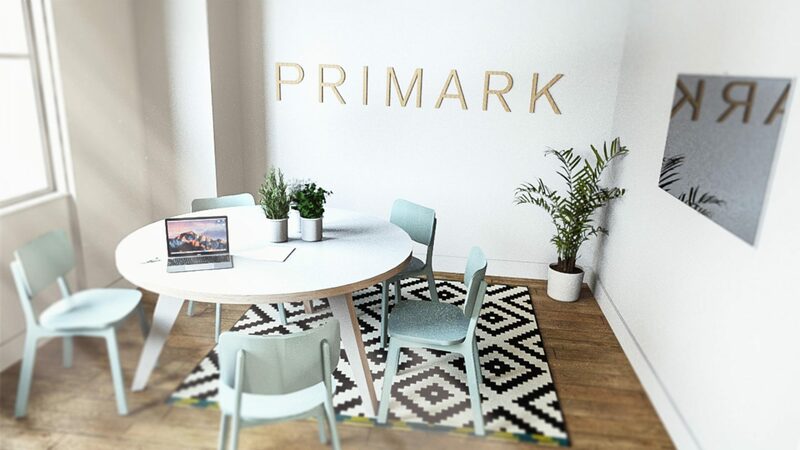 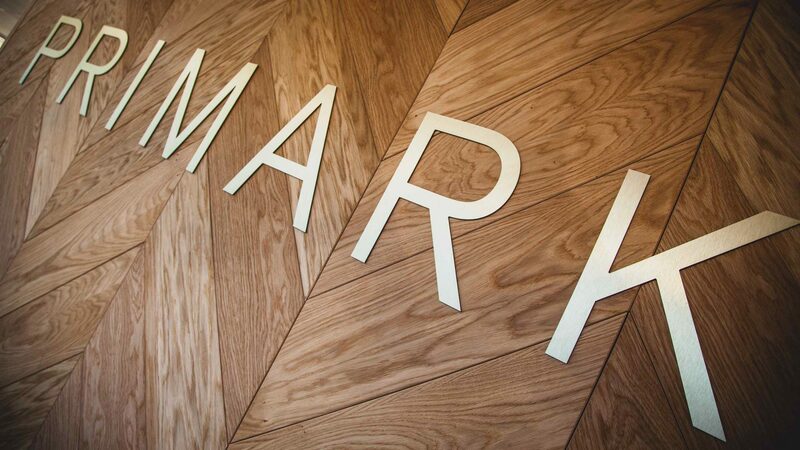 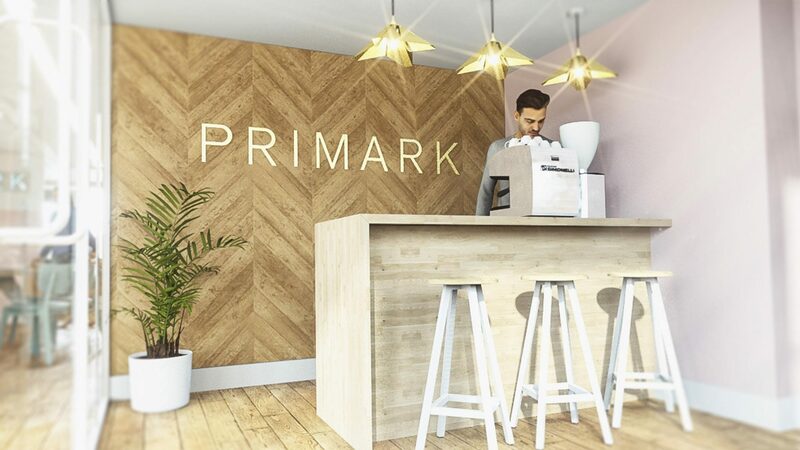 The key elements we designed and installed are a variety of bespoke storage units for Primark’s upcoming merchandise such as clothes, shoes, makeup and homeware ranges. 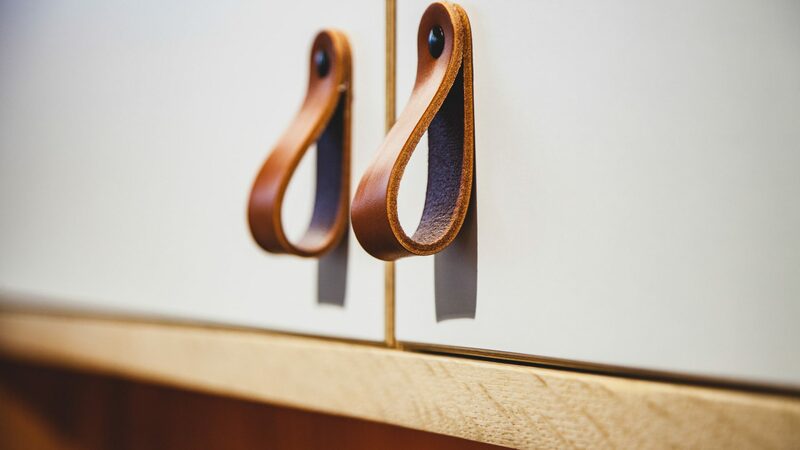 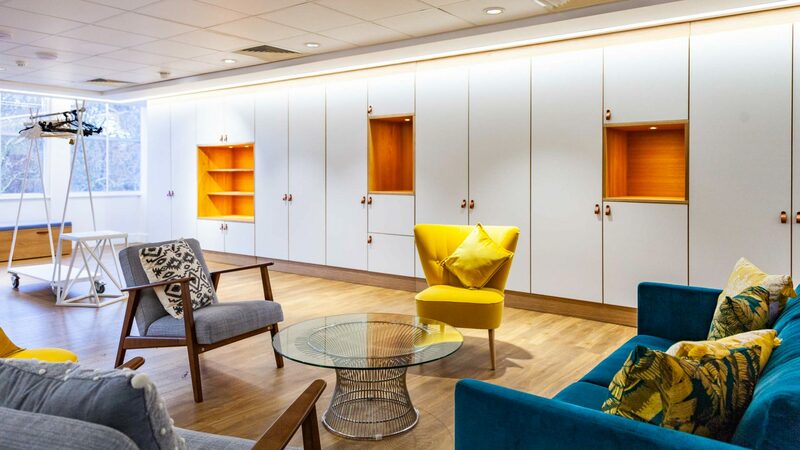 The most striking feature of the interior office design is a wall of wardrobes and cupboards of various sizes which includes built-in illuminated shelves for displaying the latest products similar to a retail space. 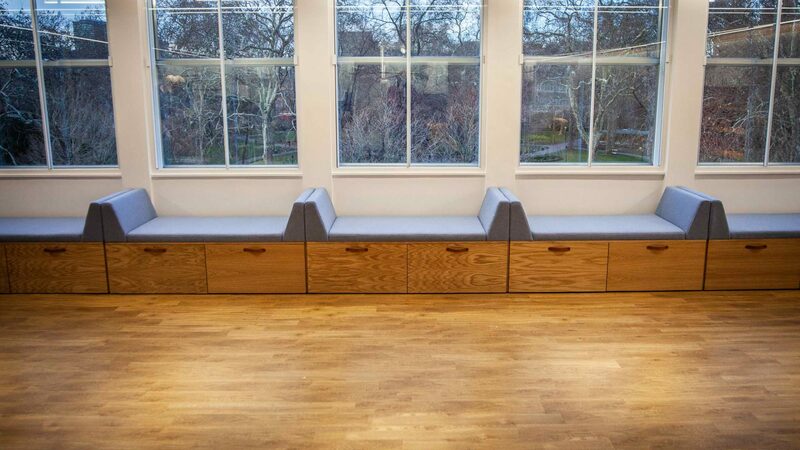 Adjacent to this, beneath the line of windows overlooking Russell Square, there are custom-made seating units that house large drawers beneath. 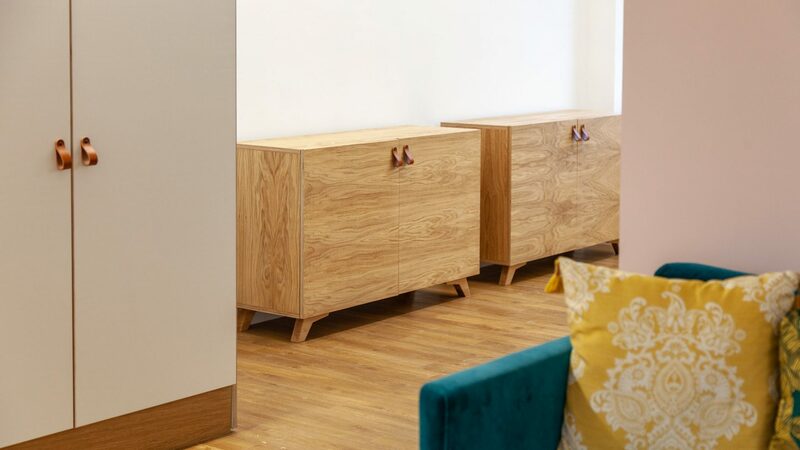 And throughout the existing office area we have installed Theodore sideboards providing further storage. 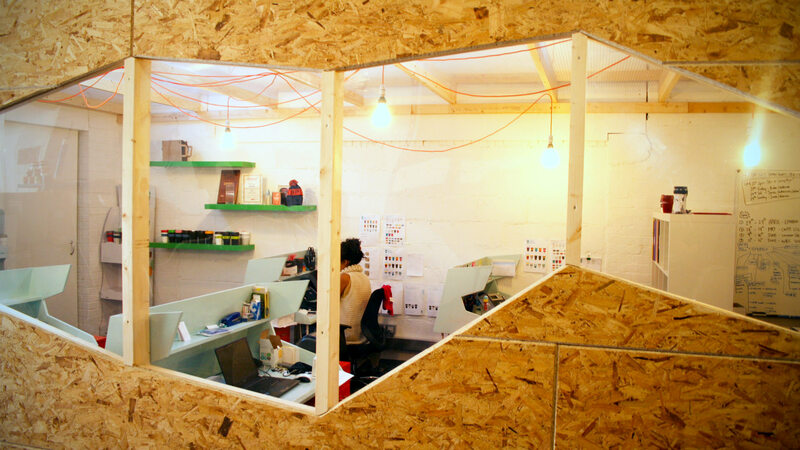 We turned what had previously been a makeshift meeting room into a branded reception area. 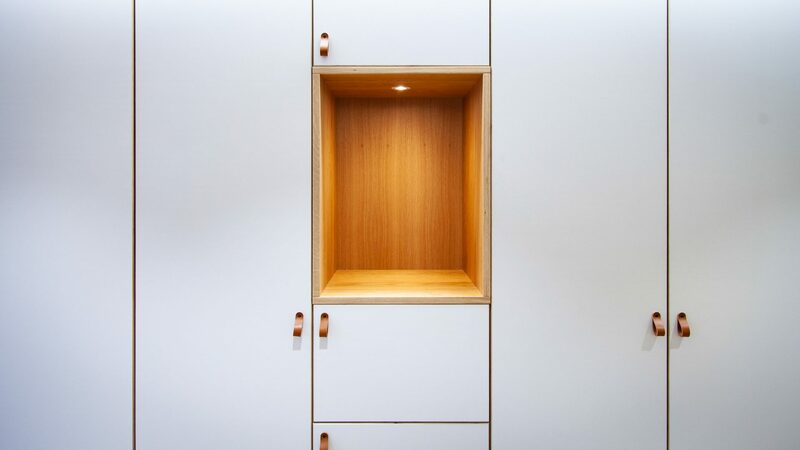 This featured an Oak panelled wall as well as a bespoke counter that is designed to be mobile. 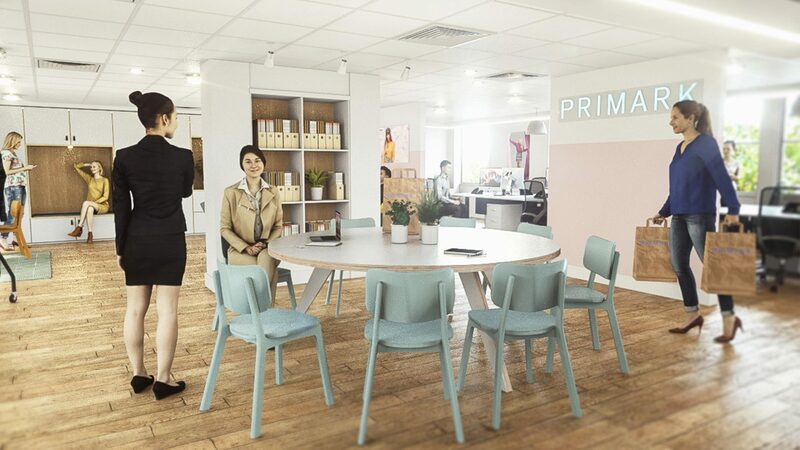 This means that during events it can be used as an ad hoc bar wherever needed in the office interior. 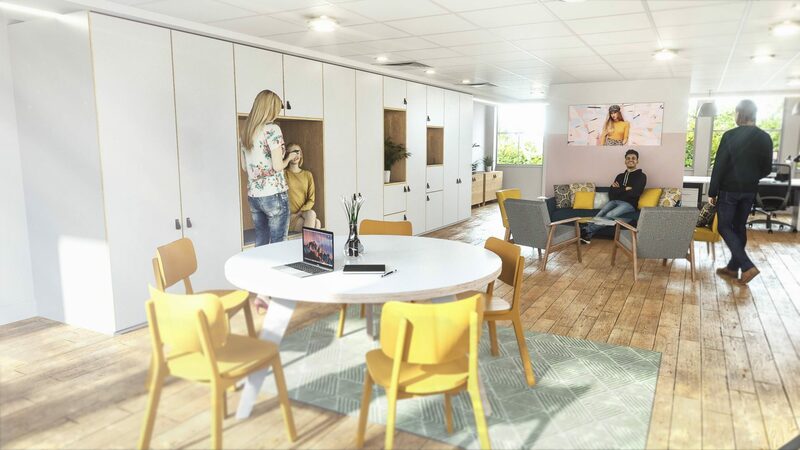 With all of our additional storage it meant we could free up the old storage room and turn it into a dedicated meeting room (with even more cupboards). 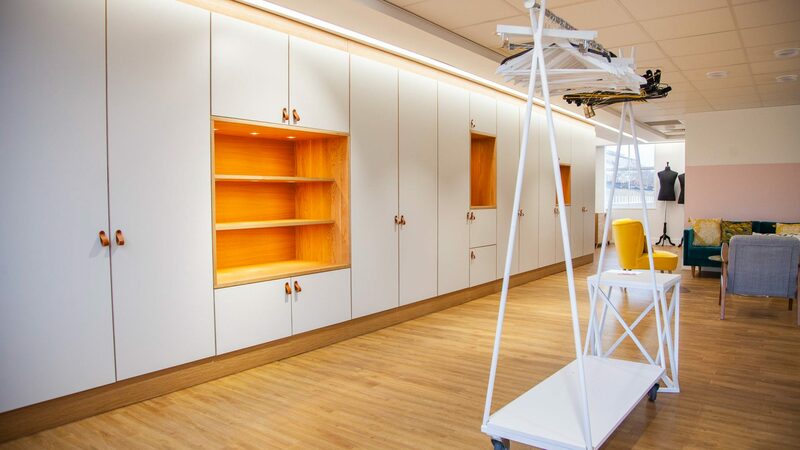 In the main area we also added Oak panels to the back of some existing built-in shelves to give them a new lease of life. 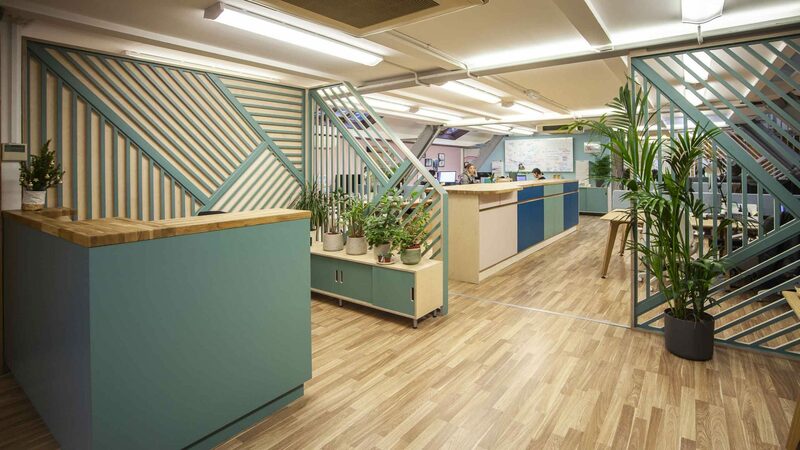 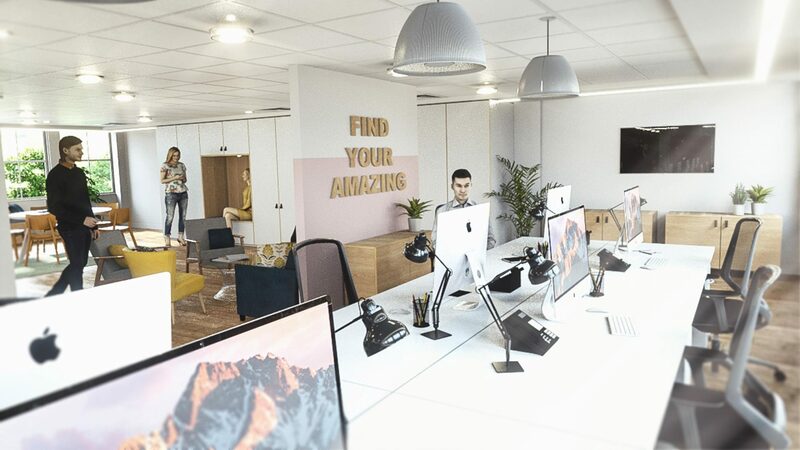 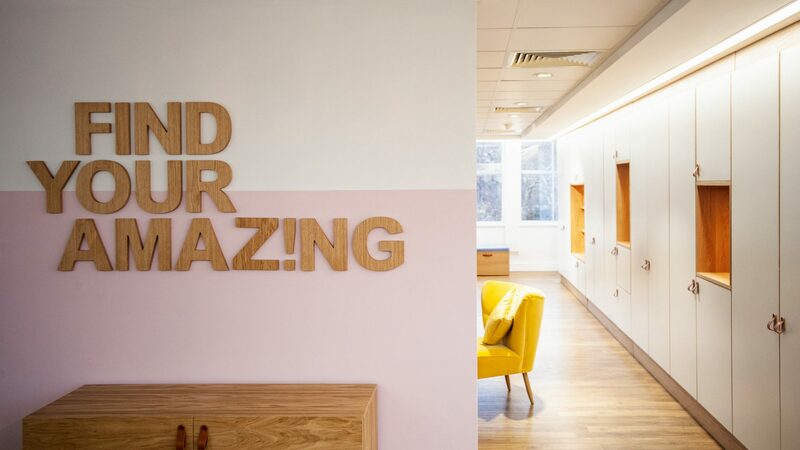 The revitalised office interior was completed with the addition of a few splashes of colour and some strategically placed cut-out lettering on the walls creating a great brand experience for visitors from the press, bloggers and industry influencers.